The requirements coworkers need to meet with respect to complex technical processes are increasing more and more in today’s automated working world. Brother Air Scouters constitute an optimal solution for supporting employees in an efficient manner and for reducing their workload. 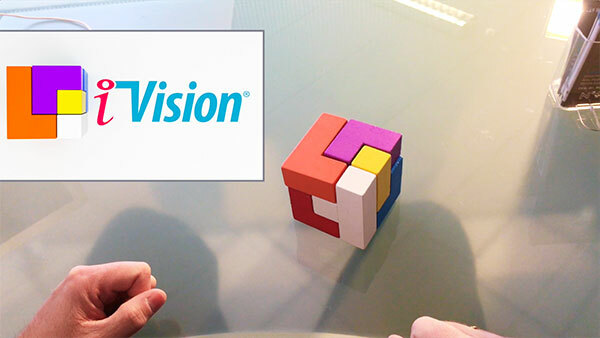 It takes only a short time to visualize your processes and to display them on Brother Data glasses due to our iVision software solution. For purposes of demonstration, we have tried to show a daily occurring situation in order to explain the advantages Brother Data glasses entail. To this purpose, a Soma cube consisting of several different components was assembled. Try to reassemble this cube in a short time during the first round. You are going to find that it might take you longer than you might have thought. Don’t hesitate to get in touch with us if you have any questions about our innovative software solutions for smart glasses.